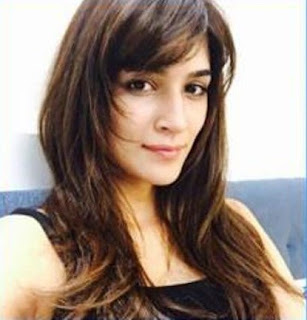 With several B-Town actresses experimenting with their hair, a very popular hairstyle many actresses have preferred over time is the 'Feather cut' hairstyle. The feather cut hairstyle looks great on Indian face shape and this might actually be the reason of them opting to go for this hairstyle. From the queen of beauty 'Aishwarya Rai bachahchan' to the sassy lady 'Shilpa Shetty', all these actresses have a similarity, they have tried the 'Feather cut hairstyle in the past. Indians love Bollywood and are greatly influenced by their favorite characters of a movie or even their favrite stars for a matter of fact. They go on to imitate their makeup, dressing and hairstyle. There is no doubt that Bollywood plays a vital role in indian fashion Industry and Bollywood actors are trendsetters. These so called styles , especially 'hairstyles' by our iconic stars are imitated highly in india. Every time I login to youtube I see several youtube videos of tutorials of makeup and hairstyle of the latest celebrity attending a red carpet event or an award ceremony. One such trend started by the Bollywood beauties is the feather cut hairstyle. They broke the boundaries by setting a trend while going for a feather cut hairstyle for short to mid length hair. The were successful in breaking the stereotype of the feather cut hairstyle which was mostly for the long and dense hair. Why get a Feather Cut Hairstyle ? Feather like wispy ends with sharp layered hair done with complex scissor cutting techniques forms a feather cut hairstyle. The end result is your hair looking sharper and it even makes you look younger. The feather cut hairstyle has a lot of variations and many of them look absolutely drop dead gorgeous on Indian face cut which is why you can showcase your trendy side by getting a feather haircut! You might wonder why so many Bollywood actors chose to go with this beautiful feather cut hairstyle. The simple reason might be because it suits all shapes and sizes and gives the face a fresh and breezy look. Its a kind of hairstyle that gives a textured effect and yet feels airy and breezy a the same time. 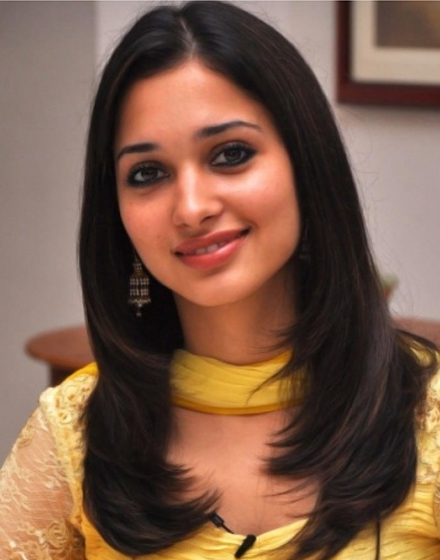 Many hairstylists in india have done a wonderful job by giving a beautiful feather cut hairstyle to our celebs. With a lot of pressure on indian celebs to look good every single time, a feather cut hairstyle s instant glamour without having to put in effort as a beautiful hairstyle is the cherry on the cake that frames your face and makes you appear glamorous! I personally love this haircut and belivee you need a professional hairstylist to the feather cut done perfectly! Feather cut hairstyle is also famous as it gives people with thin hair a textured and voluminous appearance. Not just this , the feather cut looks amazing when done on short and long hair ! A feather cut hairstyle looks stunning on indian women and our very own Bollywood beauties are best examples for this! A feather hairstyle can be classic and modern depending on what kind of look you want. A feathered haisrtyle can be rocked with bangs, fringes, bobs and curly hair, this might just be the best part of a feather cut hairstyle. A feather cut hairstyle looks super stylish if you have dense and voluminous hair but will look absolutely stunning when done on fine and short hair. Highlights with a feather cut also is trend these days and many of the celebs have been spotted considering this hairstyle. Not that Bollywood celebrities even our silver screen stars ooze a charm and glamour and many of us Indians imitate them blindly! 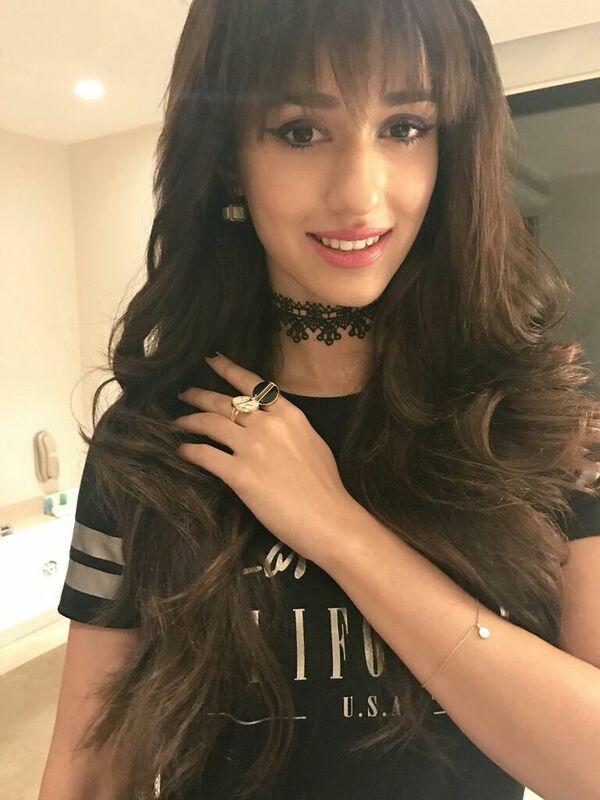 All of our Indian celebrities express themselves best with a unique hairstyle in real and reel life and we love to imitate them. We are greatly influenced by the hairstyles sported by Indian celebs. All of this states that indian fashion industry is largely ruled by our silver screen and Bollywood celebrities, which is why when a celeb changes a hairstyle , it turns into a latest trend and women and men across India are seen with the hairstyle. The 'Feather cut' Hairstyle has been highly imitated as it looked amazing on our celebrities and magazines and newspapers were flooded with pictures with our heroines sporting this beautiful textured feather like hairstyle. When a fusion of a feather cut hairstyle combined with other fun types of hairstyles is made we get to see a lot of super stylish feathered hairstyles that would look great on Indian women. As feather cut hairstyles are versatile they look pretty good with a lot of hairstyles. This feathered hairstyle looks amazing on an oval shaped face and has a lot of scrunching going on with inward and outward edged curling. Deepika padukone looks amazing and Indian beauties can carry of this feather cut hairstyle with ease. Its glamorous yet understated and gives your hair a voluminous look! This hairstyle also looks great with a winter womens hats to give it an extra touch of glamour. A fringe with a feathered hairstyle and long hair with feathered edges are LOVE ! They make you look super cute and have a funky touch to them. The feathered bangs on the forehead makes it even more prettier. If you want something rock chic yet sweet , this is the perfect hairstyle for you . This would suit thin framed women and look lovely on women with huge foreheads going for bangs. Not all are blessed with thick hair and those who have fine hair can also go for the feather cut hairstyle. The hairstyle has feathered ends and has in curls which makes it even more lovelier. It works with medium length hair and would suit a round shape face giving it a textured look, which means your hair won't look flat ! The loose ends of the feathered ends frame the fame and hand around the shoulders making it very pretty. this is a type of feather cut hairstyle who wants to keep it simple and neat and yet want a feathered edge to their hair cut! Middle parted neat feathered hairstyle has a few highlights going on at the ends. his one is the most glamorous feathered hairstyle among the whole list here. feather hair cut on silky hair with a few highlights going here and there is a great thing and looks absolutely stunning on Indian women no matter what age they are. This kind of feather cut hairstyle would be tricky with women having fine hair, best tried on women with thick and dense hair. This might actually be the most common and popular hairstyle in india. Almost all salons have hair stylist who excel in this kind of hair cutting technique. It makes you look beautiful without having to actually do any kind of hairstyle and increases your self confidence. Here the lower parts of the hair have a feathered haircut while the upper portion remains simple and sweet. 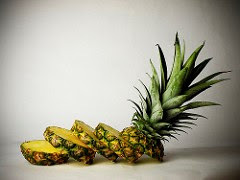 This one can be termed as a safe and sweet hairstyle and can be adopted at any phase of your life and on any hair type. Short hair problems? Well well you can rock a feather cut hairstyle even in short hair , as a matter of fact the feathered hair cut can give your short hair the much needed glamour and charm! the feathered edging begins at the ends of your eyebrow line and makes you look pretty ! The best part about this type of feather cut hairstyle is its no maintenance hairstyle! 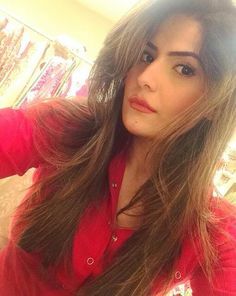 This kind of feathered hairstyle is in vogue and have been imitated by a lot of Indian working women who have very little time on their hands and want to keep their hair from looking limp and yet want it to be no maintenance thing. We Indians have jet black hair, at least most of us in the south. Its usually thick as we are forbidden to cut it in our college days and when we are out from college we want to break from the thick braids and get a fresh hairstyle, this messy feather cut hairstyle would be excellent for those with thick hair and want some experimenting with their dense locks. This is the most sought after feather cut hairstyle by indian college going girls as it looks trendy and stylish when left open. 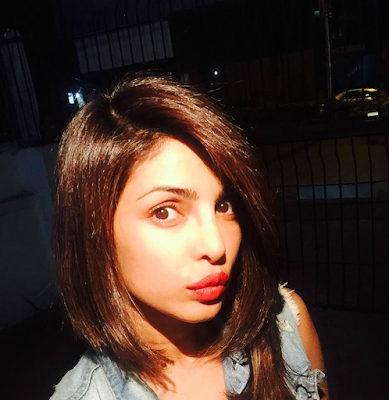 A lot of Indian actresses have been seen with this haircut and it looks great on indian Hair. If you are the one who wants to go bold and want a very edgy pixie like feather cut hairstyle then you have the answer right down in the picture below ! Love the way Gul panag manages to rock her feathered haircut or undercut . In spite of the very short hair the feather cut on the top most portion her hair gives it a glamorous and soft look. This is a combination of two hairstyles and is very chic and modern. We Indians love volume, be it in our outfits or hairstyles or even hair cuts, we love the TEXTURE ! 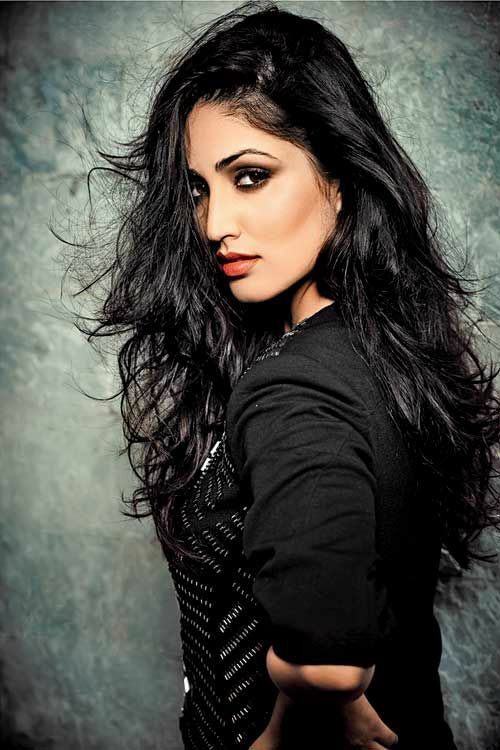 Wispy feathered ends that give a desi voluminous feather look is what we love ! 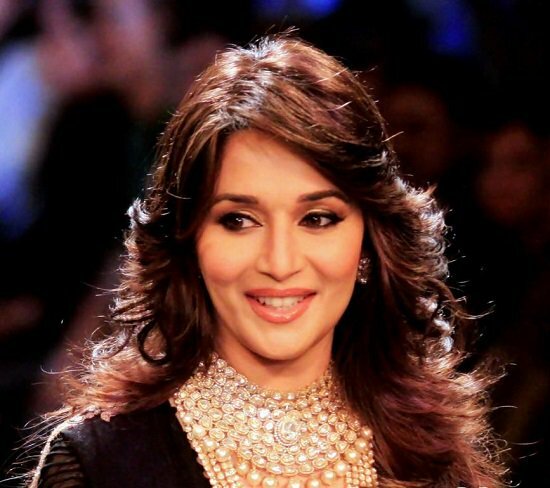 This picture of gorgeous Madhuri dixit does justice to the desi version of the feather cut hairstyle! It looks lightweight and frames the face beautifully ! Life-Flo has packaged their rosehip seed oil in a brown tinted glass bottle with the cap having fitted dropper . I require just 2-3 drops of oil for one use and the dropper dispenses just the right amount, so I must say very good packaging. The tinted glass bottle also helps keeping the pure oil potent for longer times. the glass bottle means it isnt very travel friendly but pure oils are better stored in glass bottles. I am trying to establish a good night time skin care routine as Iam in my late 20's. 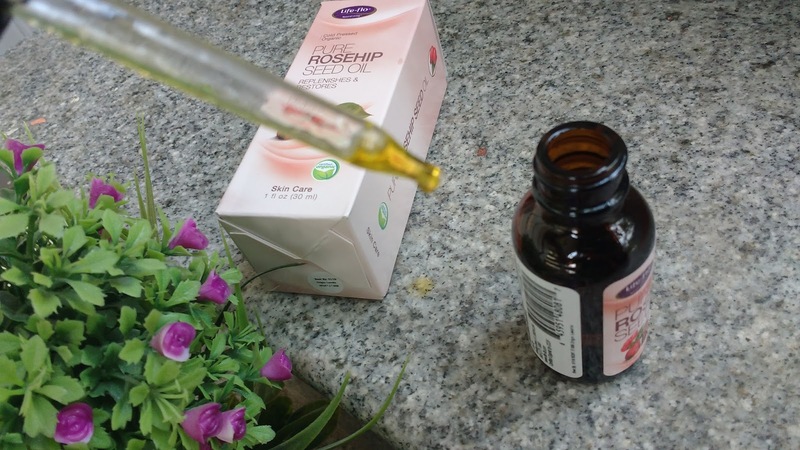 The main reason I wanted to try rosehip seed oil is because it has anti ageing properties with almost 80% antioxidants and I think this oil works beautifully as a night serum to delay ageing. I have noticed some sun spots have lightened and my skin feels tighter and supple. Iam not using any night creams at present and only using this oil as a serum. I just use the dropper to get 3 drops to cover my face and neck before going to bed. After a week of using this oil I realized my skin was improving, it looked supple, hydrated and firm too. The oil is golden yellow in and has a weird kind of smell which I dont like but for something which is so affordable and give such amazing results I am ready to bear the scent. I noticed this oil was light and absorbed into skin quickly when compared to almond oil which i used under my eyes and sometimes on face previously. The light texture of life-flo rosehip seed oil compelled me to use it even during day and it worked as a moisturizing base under my makeup too. But i need to apply this and give sometime for skin to soak the oil in before I apply foundation or BB cream so I wouldnt suggest this oil for day time if you are short on time. 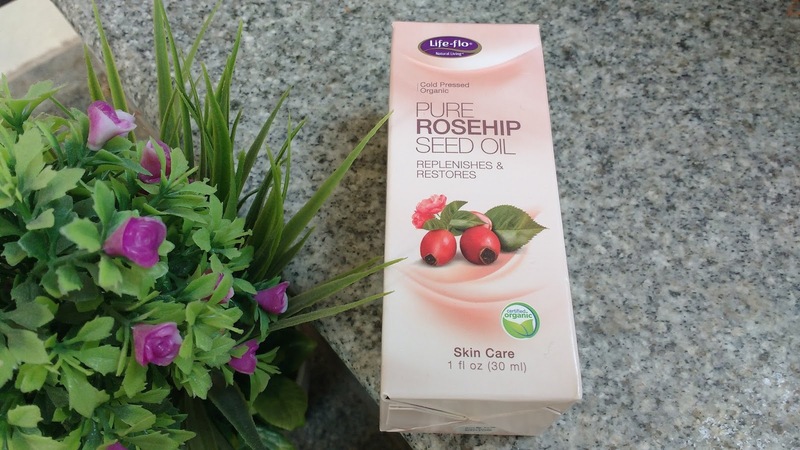 Life-Flo Pure Rosehip Seed Oil is not easily available in India. 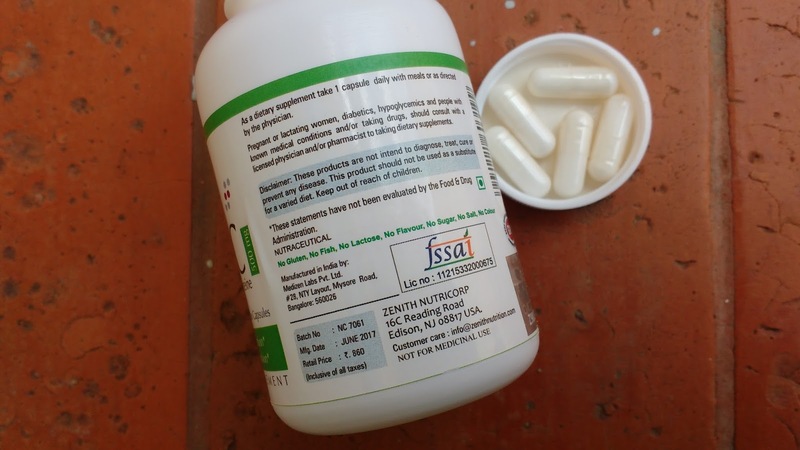 It is available at affordable price on iherb.com but you may have to pay hefty customs duty. I brought my bottle from Amazon.in at more than double the international price. I preferred to buy from amazon india because I wanted to try this oil very quickly. You can order in bulk from iherb and pray that your parcel doesnt get stuck in customs. Even if it does get stuck this quality rosehip oil from life-flo is totally worth the double price paid. 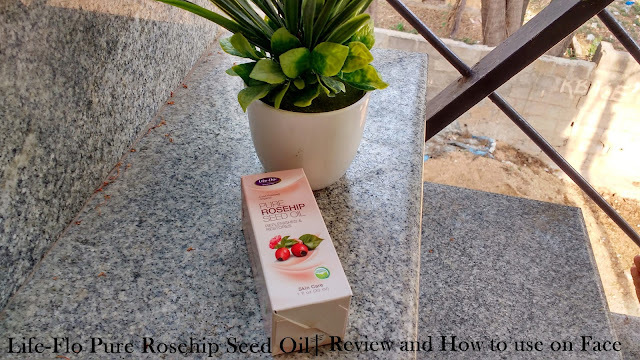 If you are looking to include rosehip seed oil in your skin care regime and want an easily avialble option then there are many brands available on Amazon India. 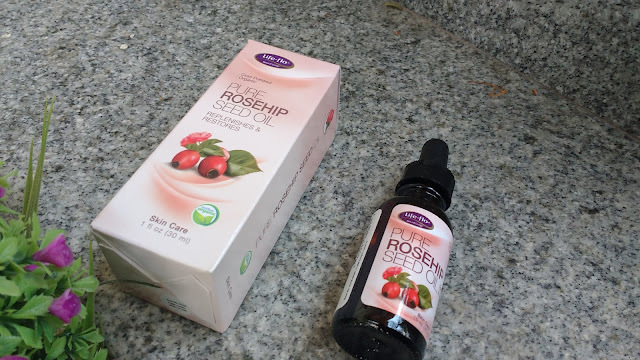 I personally dont trust new names when it comes to skin care but Juice Chemistry Rosehip Oil is a really great alternative which is easily available online at websites like nykaa. The rosehip oil from Juice chemistry is cold pressed, certified organic and 100% pure caomparing well to life flo rosehip oil and is priced well at 540 INR for 30ml. You can buy it from their official website here. 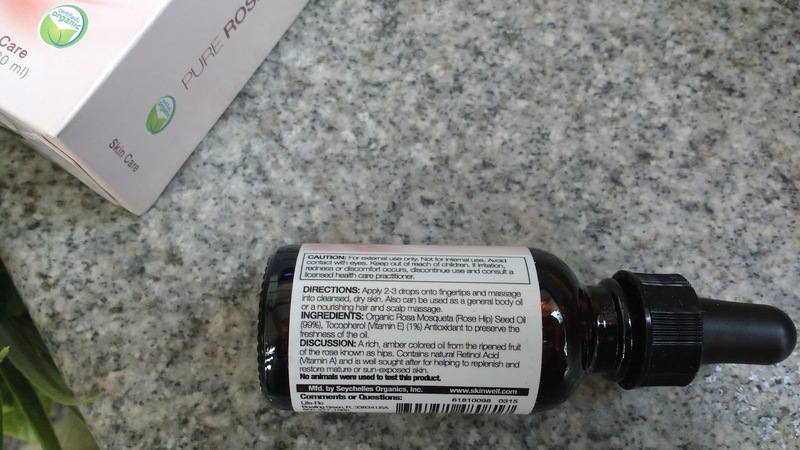 Organic rosa mosqueta (rose hip) seed oil (99), tocopherol (vitamin E) antioxidant to preserve the freshness of the oil. It is always go to apply oils on damp face. So apply after washing you face or spray a facial mist to dampen your face a bit , then take 4 drops of organic rosehip oil on your palm and massage lightly on to your entire face. You can do this before going to bed and then follow it with a moisturizer on top if you feel like your skin needs more hydration. Rosehip oil being a dry oil can be used even during the day like a moisturizer before your makeup. I have applied this oil during day and it has worked well for me, my foundation doesnt slide off, infact my foundation actually looks very natural without any rought patches. This oil is soothing and has healing properties making it ideal for sensitive skinned women. Apply rosehip oil directly on your face and neck. You can also mix this with 2 drops of tea tree essential oil or rosemary. Definitely. If you are looking to adopt an oil based skincare routine start with Life-Flo Pure Rosehip Seed Oil. If you are already into oils and havent tried this magical bottle yet, do give it a try. Antioxidants are vital for the healthy functioning of the human body. They work like magic to improve health and the food we intake today may not provide us with the sufficient dose of antioxidants. 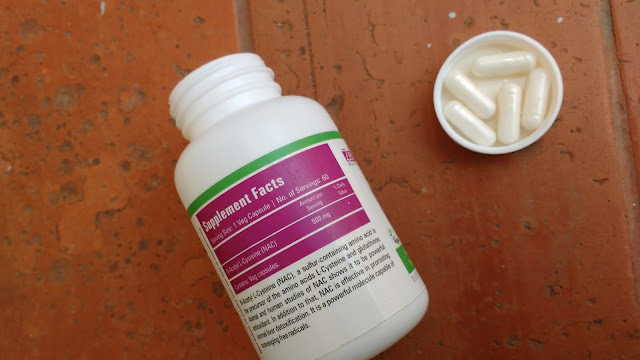 Hence, taking a supplement of it is the best way to ensure your body is not missing out on what it required to stay strong and healthy. 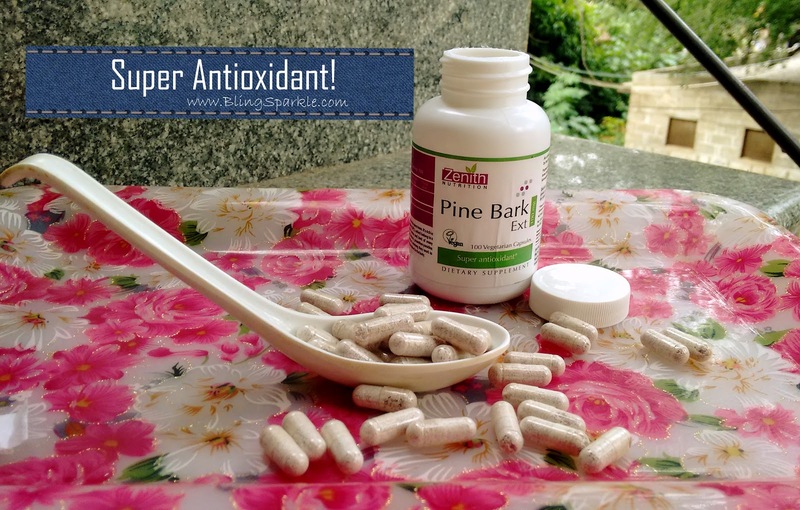 Pine bark extract is one of Nature's super anti-oxidants. It's extracted from the bark of European Pine trees and is known to contain a number of beneficial properties. 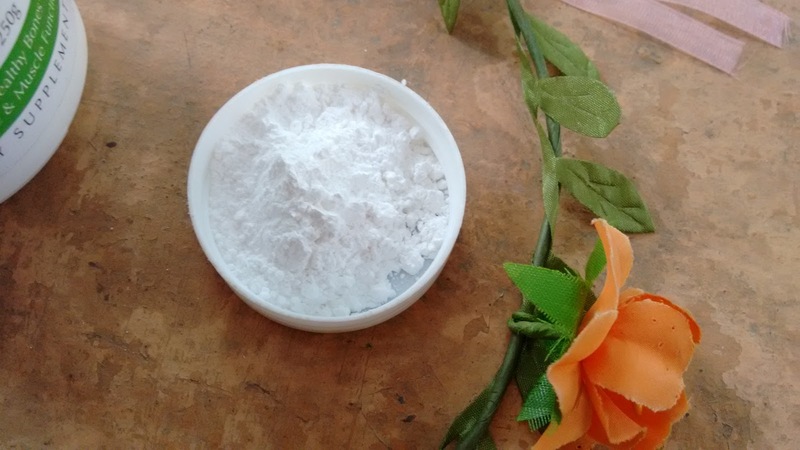 It's full of OPCs or oligomeric proanthocyanidin compounds which exude antibacterial, anti-aging, anti-inflammatory, anti-allergic, antiviral and anticarcinogenic properties. 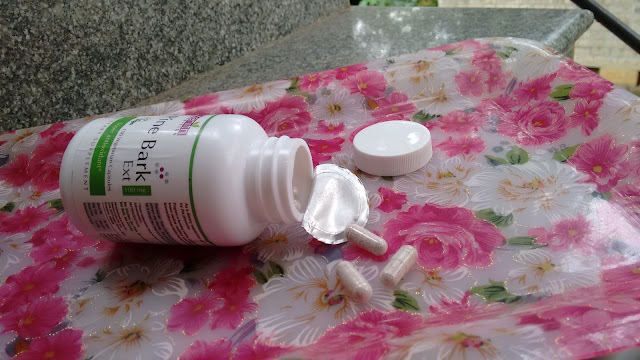 Pine bark extract helps in reducing inflammation, promoting healthy joints, healing muscle soreness, regulating high blood pressure and also works as a natural treatment for many health conditions like poor blood circulation, ADHD, osteoarthritis, diabetes, eye disease, sports stamina, stroke, etc. The antioxidant properties of Pine Bark extract get rid of free radicals and ultimately help in preventing diseases. 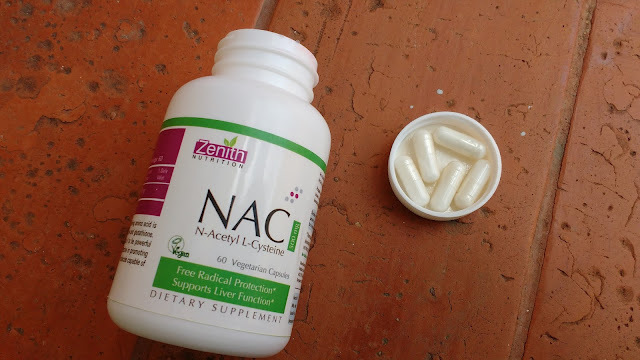 Zenith Nutrition has been known for providing the best nutritional supplements in India. Their line of products includes vitamins, minerals, probiotics, standardized herbal concentrates and amino acids. They offer quality vegetarian supplements which are free from toxins and heavy metals. All their products are free of gluten, fish, lactose, flavour, sugar and salt. 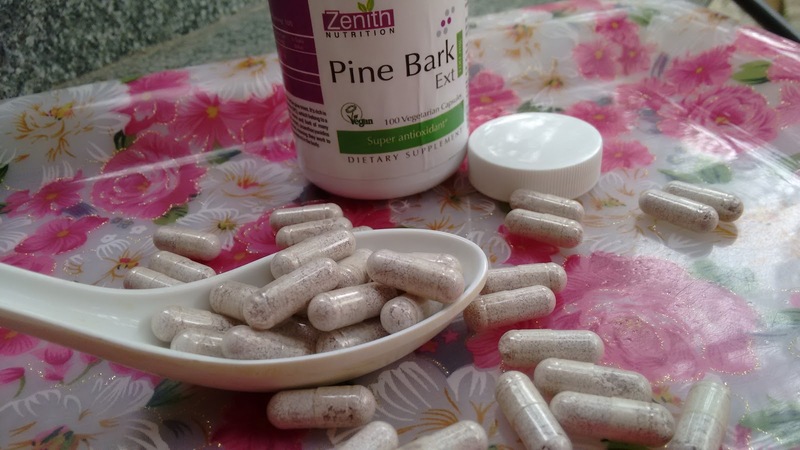 The formulation of Zenith Nutrition Pine Bark Extract vegicaps provides 100 mg of pine bark extract per one capsule serving. It is standardized to 95% OPC, providing consistent, potent dosage in each and every capsule. 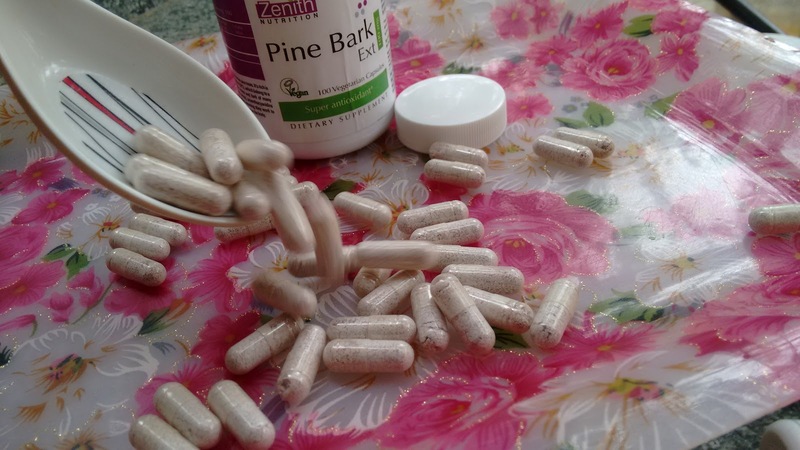 The Zenith Nutrition Pine Bark Extract vegetarian capsules come securely packed with two seals, one at the outer shrink and other inside the bottle. 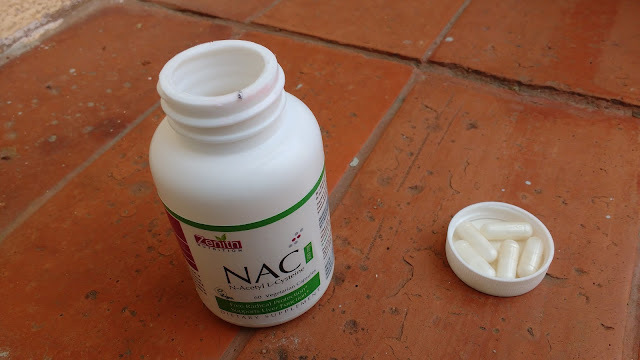 The packaging is sturdy and quite efficient for a dietary supplement. The actual capsules are transparent and I actually really like that as the pine bark extract peeps through and can be seen. You know what you are eating and that's actually a good feeling! Price: ₹1420. Buy HERE at a discounted price! As a dietary supplement, take 1 capsule, one to two times daily with meals or as directed by a physician. The Zenith Nutrition Pine Bark Extract is magic in a bottle which helps the Human body combat many diseases. 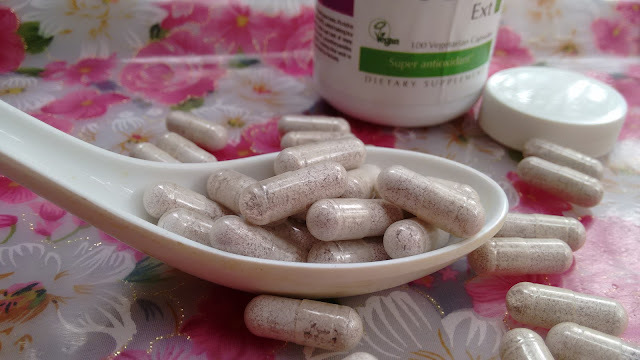 If you want to give your body that extra boost than include these vegetarian capsules in your diet asap. Totally recommend! 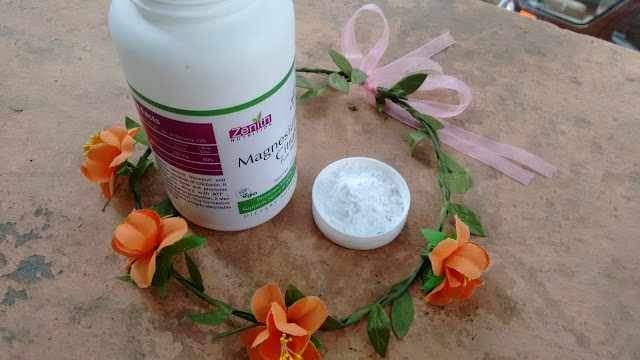 We are all aware of the many different competitive brands out there, advertising the magical all in one hair support supplements to take to keep your hair healthy. When the truth is the best way to keep your hair healthy and repair your damaged locks is to have an as much natural intake of vitamins from your everyday diet. 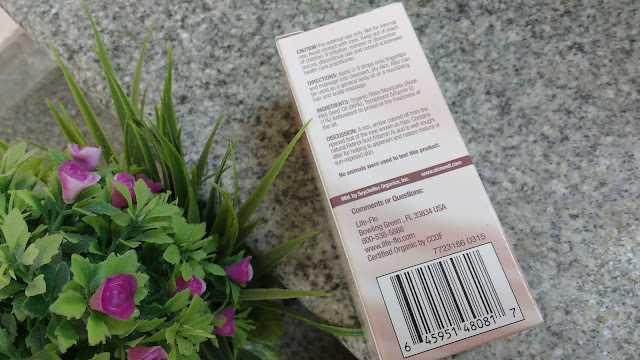 Therefore there is simply no need to spend out extra money to get your hair back to its original health which we all know is exactly what we want to hear, as were all watching the pennies, so let us educate you about the most important vitamins for your damaged hair and what foods you can find them hiding in. 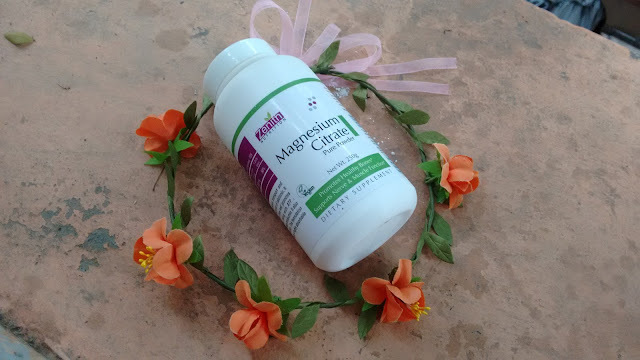 Vitamin C is a vital vitamin for skin, nails and hair. 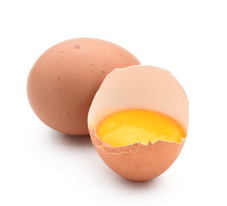 It helps your body to build a block for collagen, a protein that is essential to make the follicle stronger. It also helps the body utilise iron from plant foods, some of the best food sources of vitamin C include the most obvious, oranges, though there are even better sources, like bell peppers, broccoli, strawberries, and pineapple. Although iron is not a vitamin it is an essential mineral that we need for our body to function correctly. It is said that without enough iron in our bodies our hair would become dry, dull and brittle. Foods that include iron are red meats, spinach, and oysters. There are 8 types of Vitamin B that all help to give their own benefit to your health, (B1, B2, B3, B5, B6, B7, B9, B12). 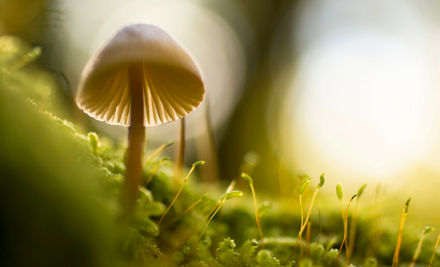 Vitamin 12 is the most important of the vitamin B complex but to receive the best results it's best to try and include them all in your diet. Some sources of the vitamin are meat, fish, eggs, nuts, grains and vegetables. 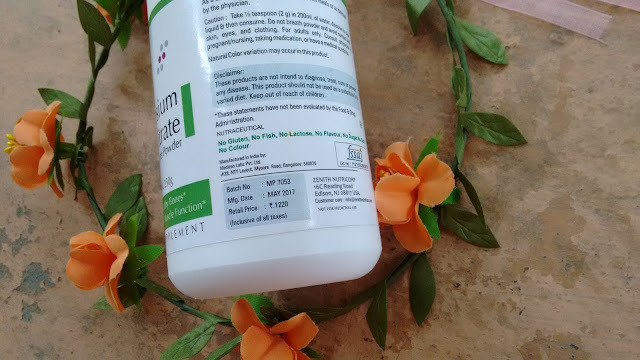 Biotin is also a part of the vitamin B family and plays an important part of the growth of your hair, biotin creates glucose which breaks down the protein into amino acids, this helps to strengthen and protect your healthy locks. 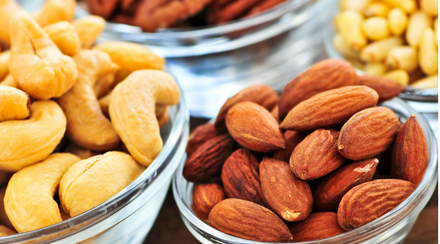 Although many hair care products contain biotin, that doesn’t mean your body doesn’t need extra to get the nutrient from your diet. Eating foods like lentils, walnuts, dark leafy greens, wild-caught salmon, mushrooms and raspberries, which help you get more of this nutrient to increase the density of your hair as well as have thicker, longer hair. 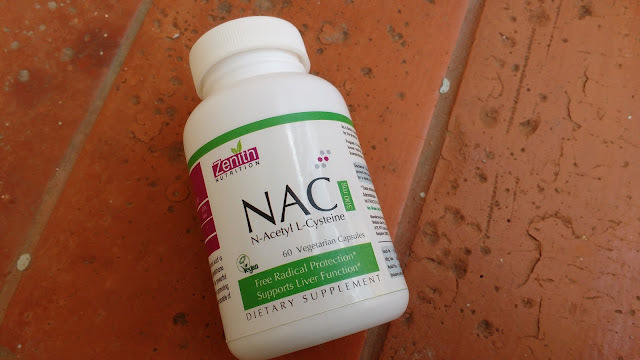 Niacin is still part of the Vitamin B family but is so important and plays a bit part of the health of your hair it deserves to be Individually described. 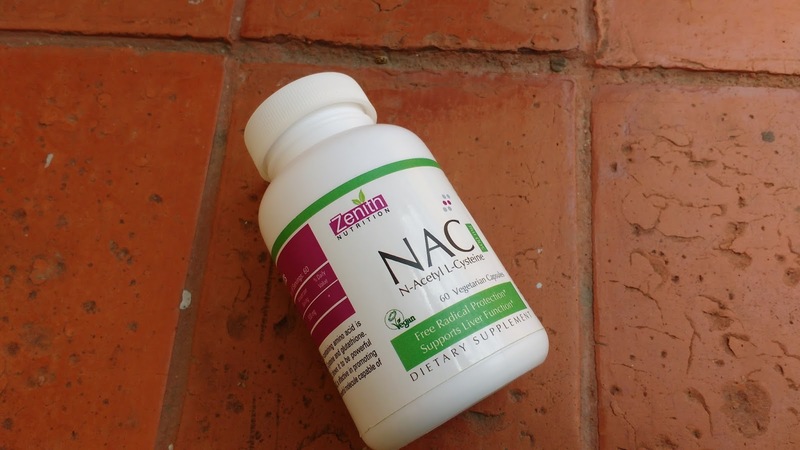 A deficiency can cause dull, brittle hair, and even hair loss. This vitamin can be found in avocados, turkey, chicken, and tuna. Vitamin A is essential to add into your diet when considering the health of your hair as vitamin A encourages the growth of your hair cells. Containing sebum which is essential oils that hair needs to be healthy and grow. 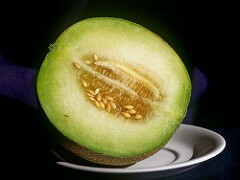 Foods that contain these vitamins are; carrots, melon, and dark leafy foods. Vitamin E acts as an antioxidant which helps to protect cells from damage caused by free radicals. It also helps to repair and build tissue which is crucial for healthy hair growth. Foods such as seeds, nuts, avocado, almond and broccoli, are all enriched with vitamin E although it's not only beneficial to eat this vitamin it is also said to be an amazing difference when Rubbing Vitamin E oil capsules into your scalp, leaving it healthy and shiny. 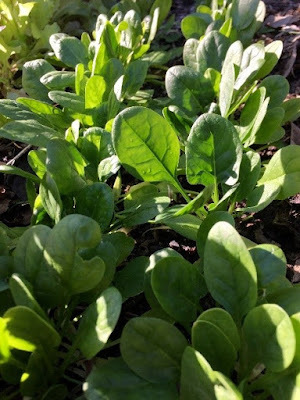 So there we have it a quick insight into which foods are best to receive the top benefits from all these vitamins infused foods, that most of us probably had no idea how much it was helping us repair our damaged hair. 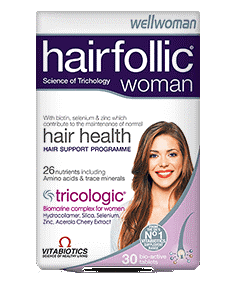 So, before you run to the shops to buy vitamin tablets or infused shampoos although these will help your hairs journey back to good health, it will be much more efficient eating a balanced diet and including as much of the above foods as you can. Good luck! Floral prints have made a comeback and the latest ethnic attire to embrace this beautiful print is the 'Floral Lehenga'! You might have seen Indian designers showcase their floral lehenga collections on the ramp and not to forget leading Bollywood ladies donning floral leheng'as for parties and other festivities. Floral prints on India lehenga's is the most trendiest attire doing the rounds this season . Incorporating Flower Power In Your Lehenga! As lehengas are flowy and are stitched up in materials like chiffon and Georgette or silk, floral prints look amazing on such lehengas. Rose printed florals or even mogra prints come beautifully on flowing materials and make up for a gorgeous flowy lehenga. Floral lehenga's are a great traditional wear for parties, engagement parties, festivals and even wedding celebrations ! 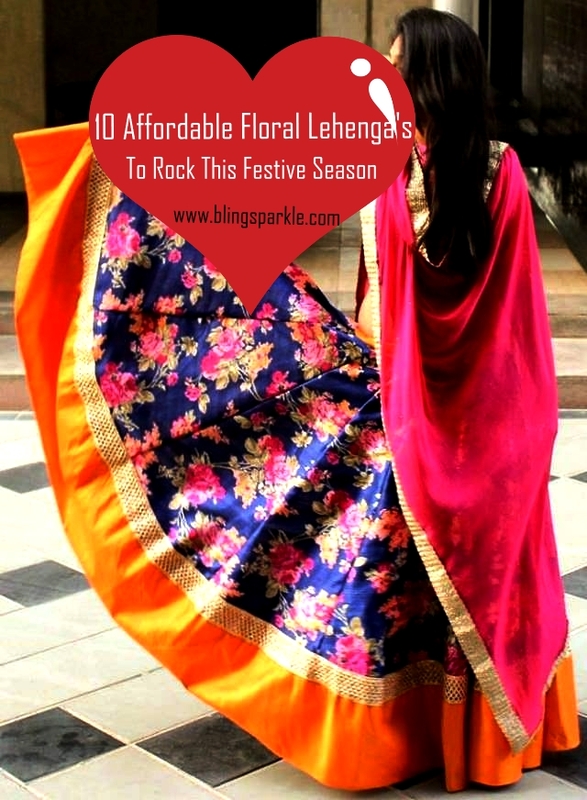 Floral lehenga's are a huge storm these days , but not all of us can spend a bomb on a lehenga which is why we bring you 10 beautiful and affordable floral lehenga options that are available only at Myntra at best bargains ! Floral prints are undoubtedly pretty and feminine and are oh so evergreen ! As this beautiful print blooms into the fashion industry, we can see it being a favorite in our ethnic wear. 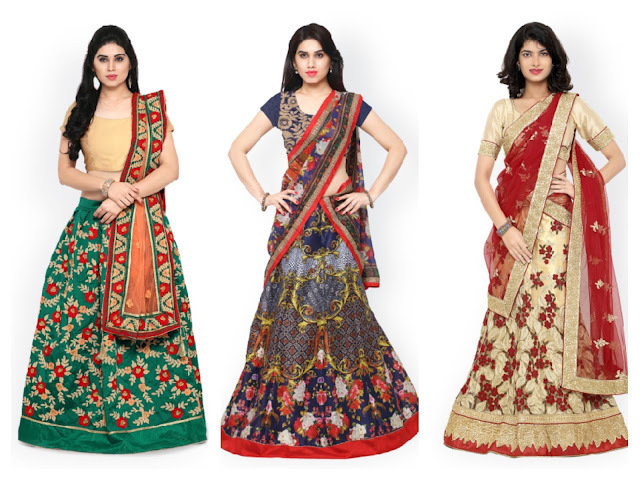 Floral prints look the most gorgeous in a printed saree or a flowy lehenga! From simple tulips, garden theme , pastel themed red roses to huge sunflowers , there is no stopping when it comes to floral prints . Gone are the days when floral prints where isolated to just home decor or western wear, we desi's are embracing the pretty print and flaunting the beautiful print in the form our beloved outfit- the lehenga ! Floral printed lehengas are not only trendy but look stylish and have a contemporary feel to it. India is embracing the fashion industry and women from all criteria want a taste of this print which is why affordable options are a great thing. When you can find a good lehenga online and that too a floral printed one, there is no stopping us from buying it and flaunting it like a diva ! 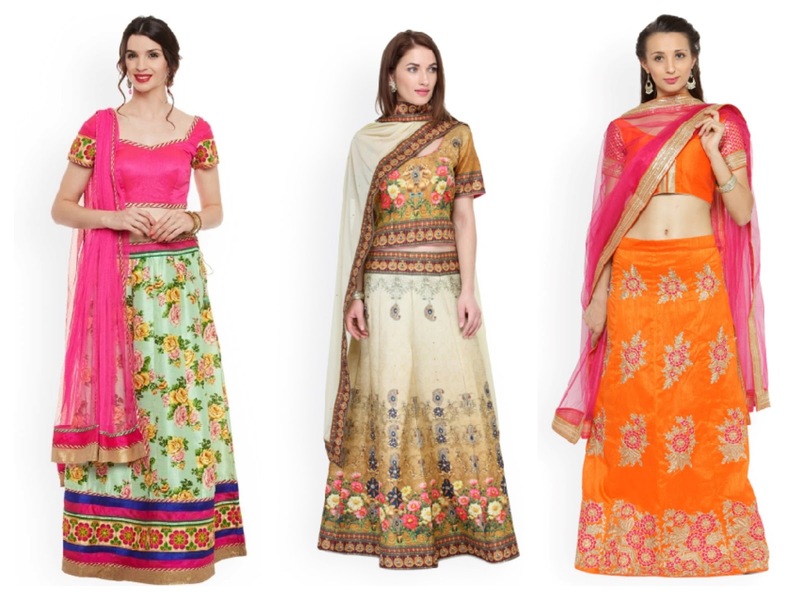 Give your ethnic wardrobe a refreshing touch and pick up floral lehenga the next time you go online shopping! The best part is you can pair your floral lehenga with different tops for different occasions and actually put your lehenga in use than just once ! Either pair it with a crop top or a choli and look your stylish best every single time ! Here we bring you 10 brilliant Floral Lehenga inspirations which you can buy online easily. These lehengas from Chhabra 555 are pretty and are semi-stiched and range around 3000-4000, and have a discount running on them for now.The beautiful floral printed lehengas come with a matching printed dupatta and will surely make for a head turner ! The minty green with the pink choli being our favorite ! the orange one has pink embroidery and makes for a great floral lehenga wear for festive occasions! These are versatile leheng'as for they have a touch of royalty and look great even without too much jewellery. Pair them with a crop top or skip the dupatta to look trendy and give it a edgier feel. The lehenga by Style Closet resembles the Sabyasachi lehenga's and these lehenga's range around INR 4000 and are a steal deal for the pricing point. These are trendy and will look great on any woman no matter what their age is. They are trendy and have a modern feel to them. Our favorite is the sea green jacket lehenga with floral prints that remind you of summers !The block printed floral lehenga's are great for young women to don at engagement and sangeet celebrations. 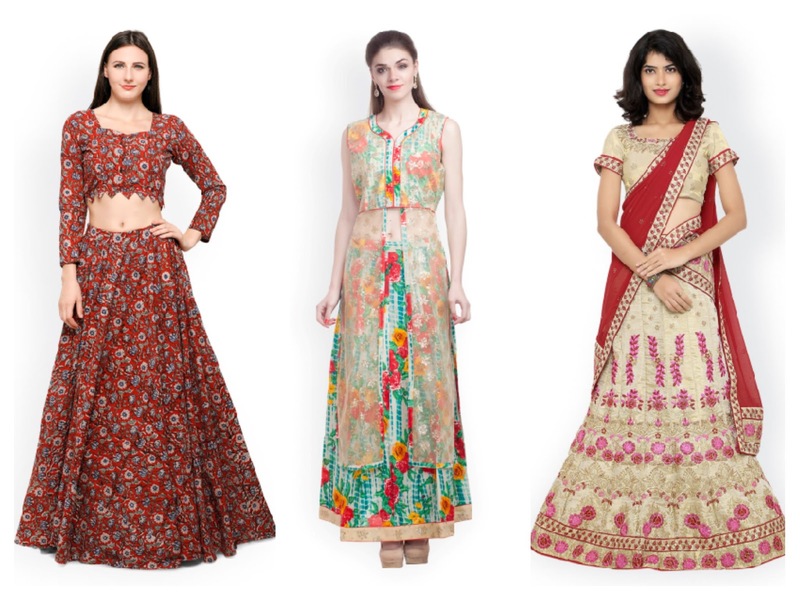 All these lehenga styles are sure to cast a spell and their pricing is a wonderful factor for who doesn't love pretty things at an affordable rate?! Get hold of these beautiful lehengas right from the comfort of your home as you can buy your favorite among any of the ten whilst online shopping!